Mix the dry ingredients, then add enough water to create a soft dough. Ensure the dough is not sticky – if it is, add flour until this is remedied. Divide the dough into 20 sections (adjusting if you require bigger/smaller dumplings) and roll in the palms of your hand so that they are round. 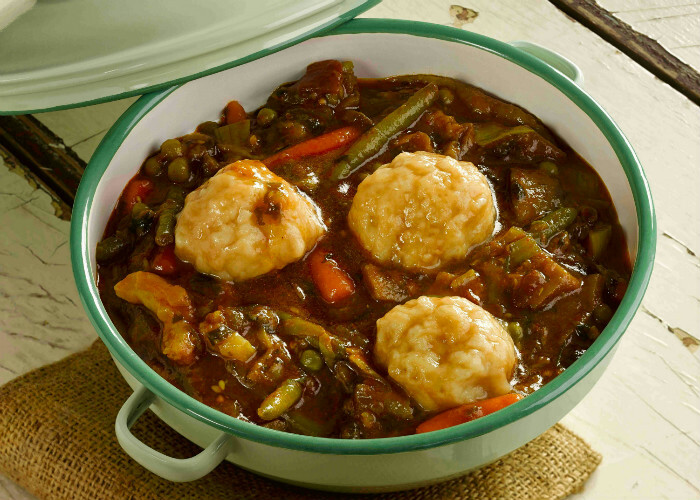 Add dumplings to your stew and cook for 20 minutes, by which time the dumplings should be swollen and tender.